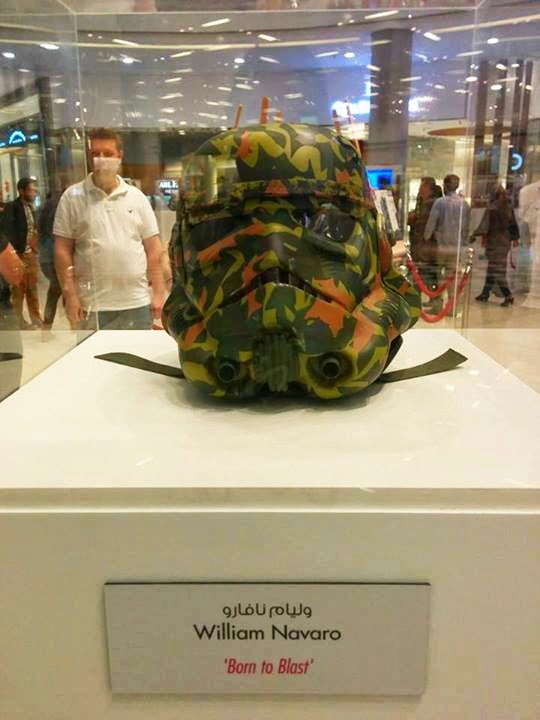 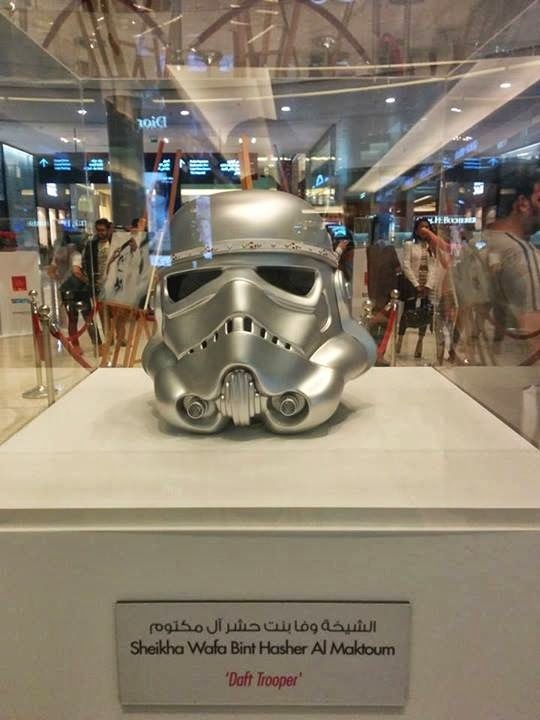 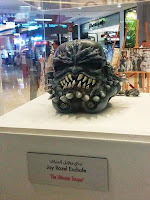 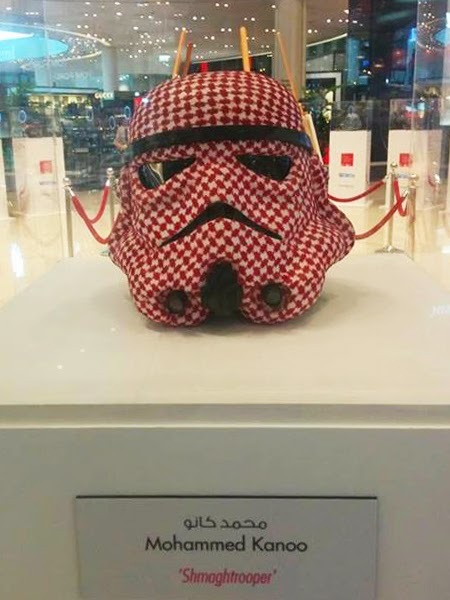 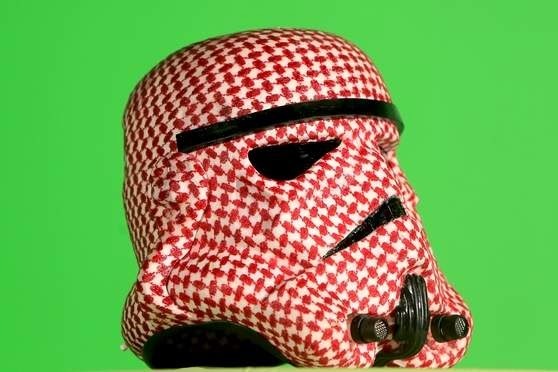 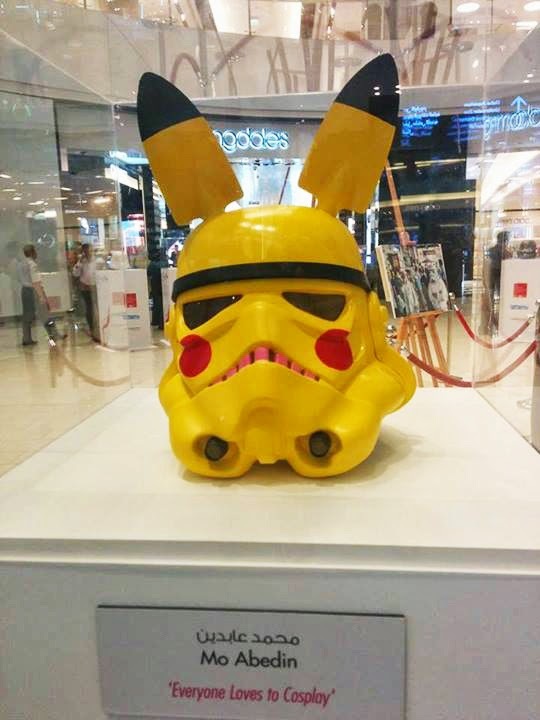 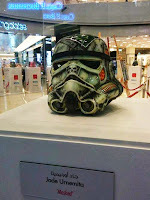 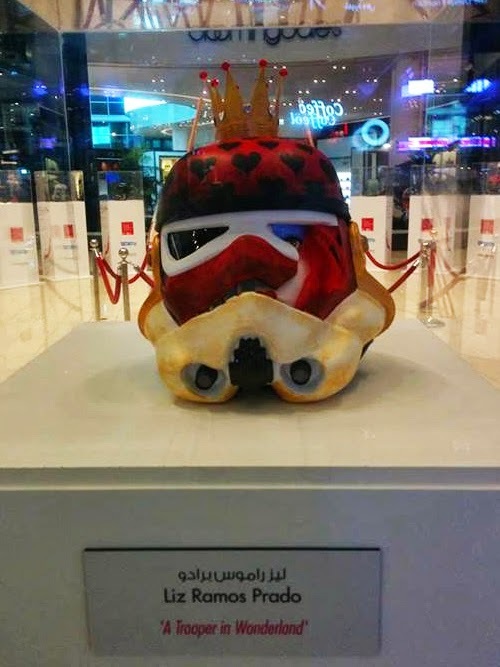 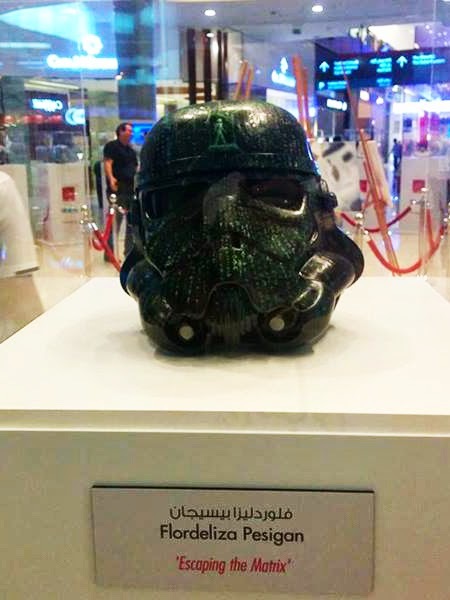 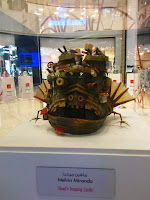 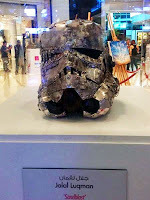 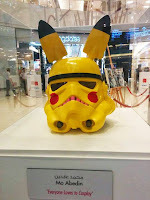 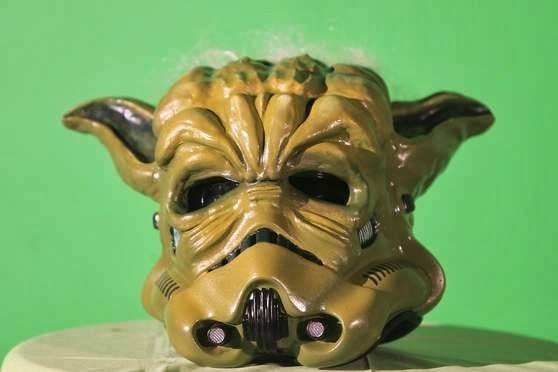 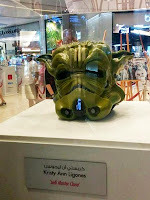 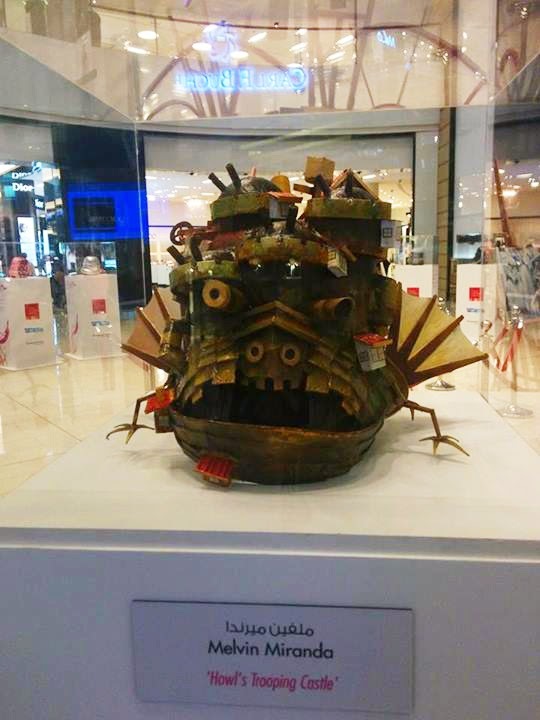 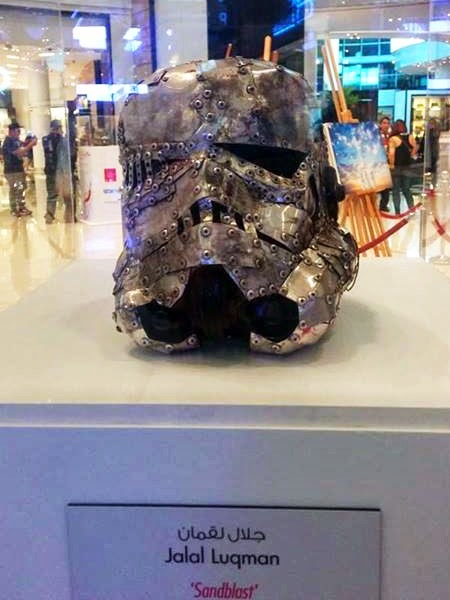 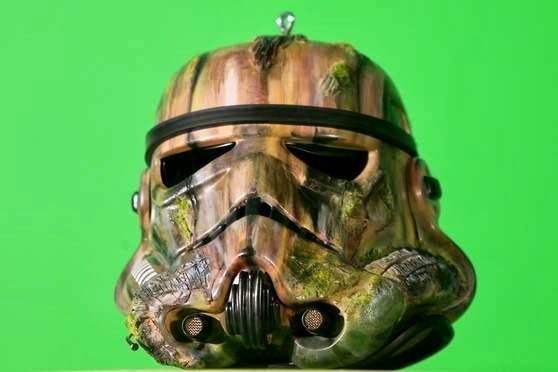 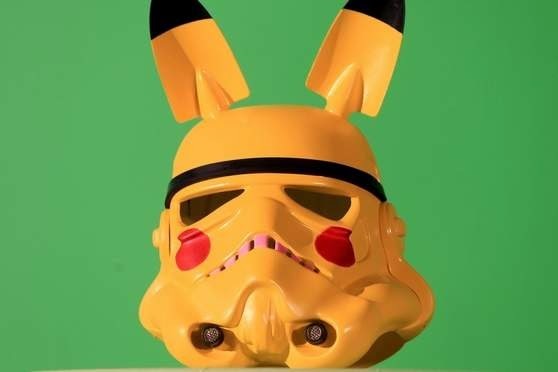 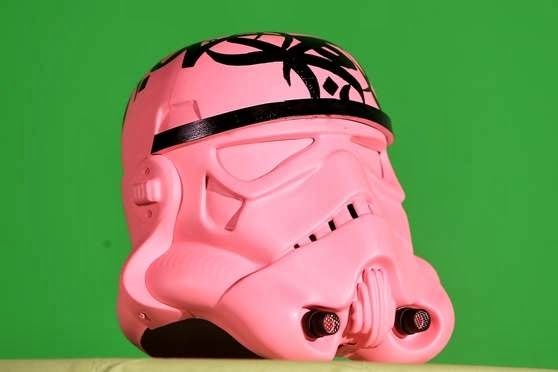 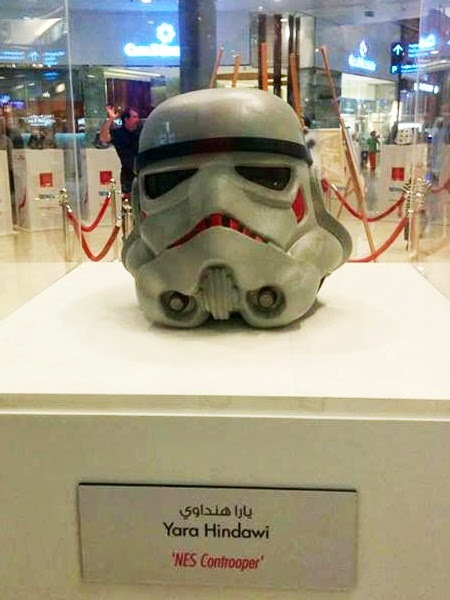 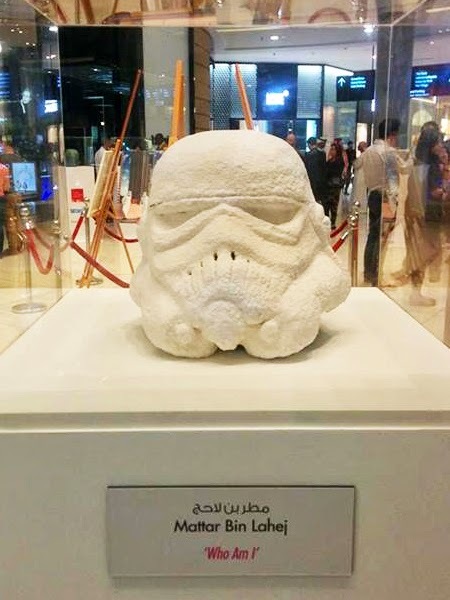 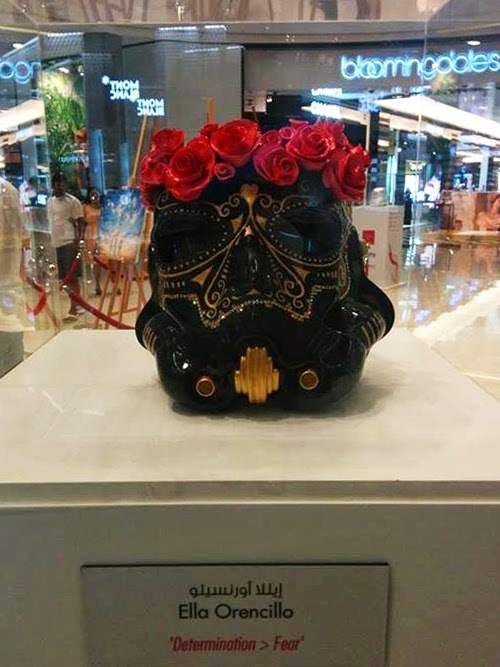 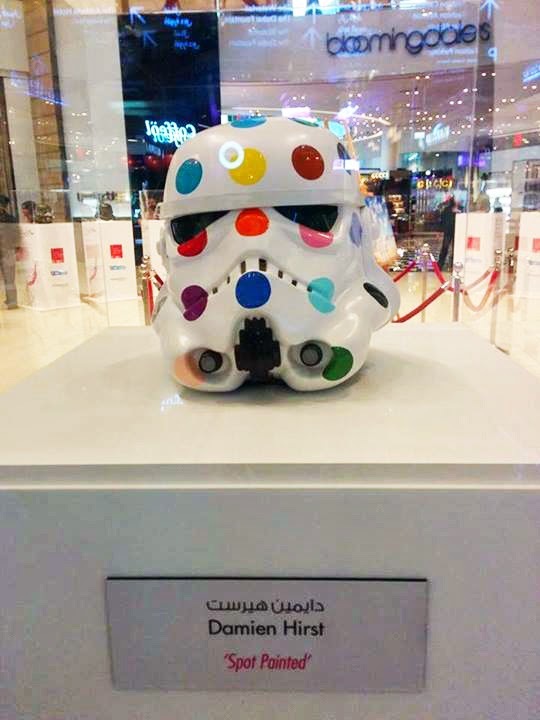 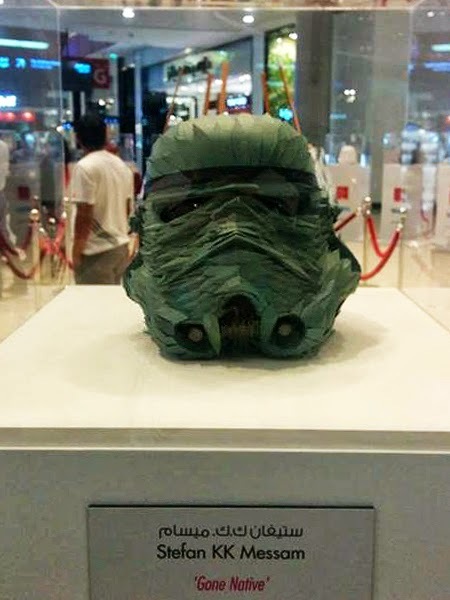 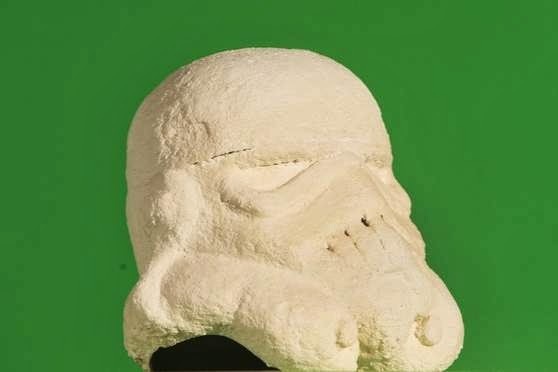 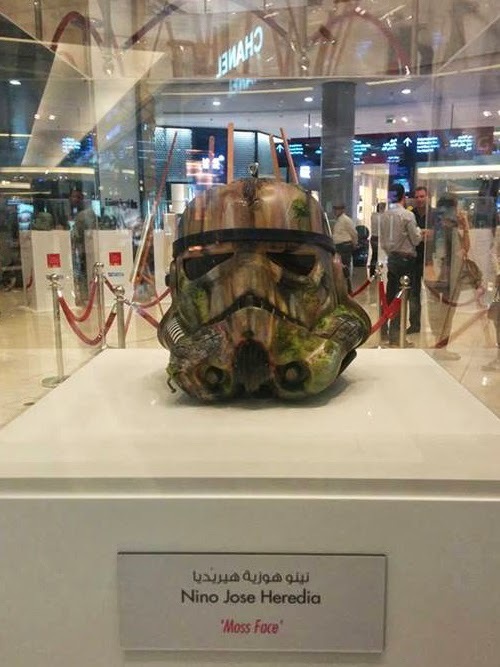 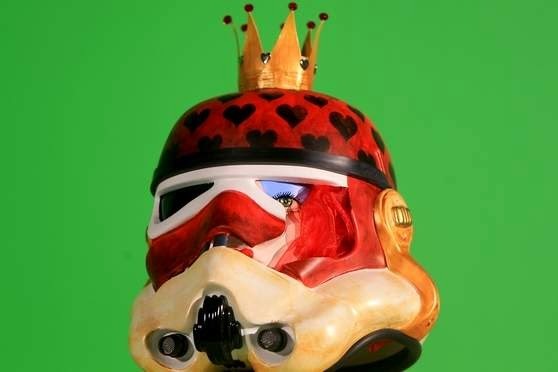 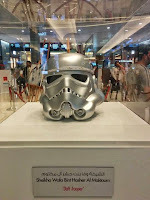 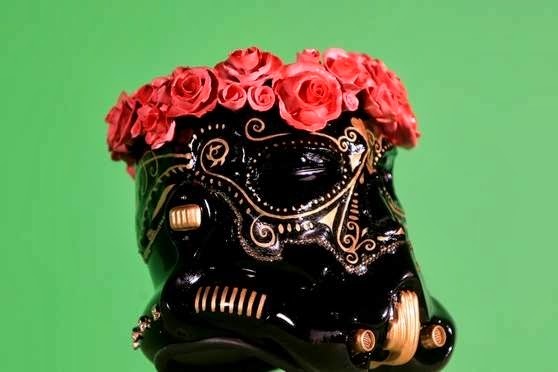 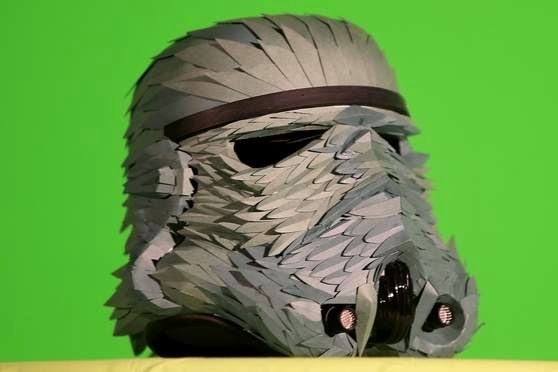 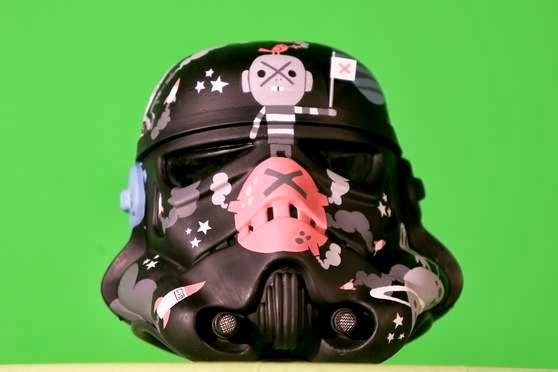 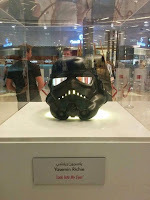 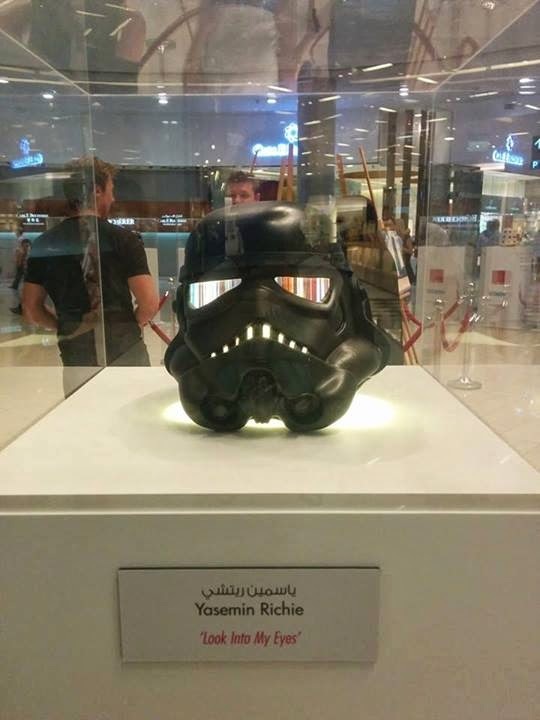 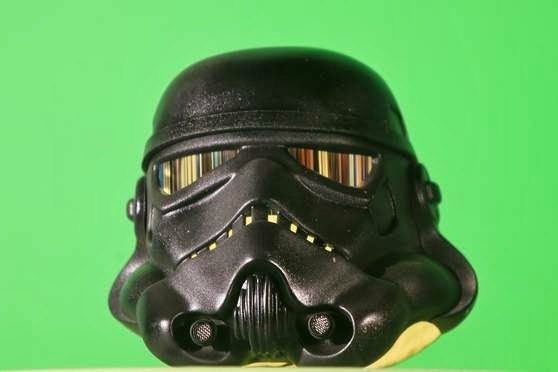 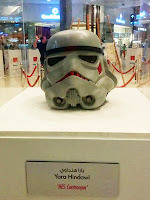 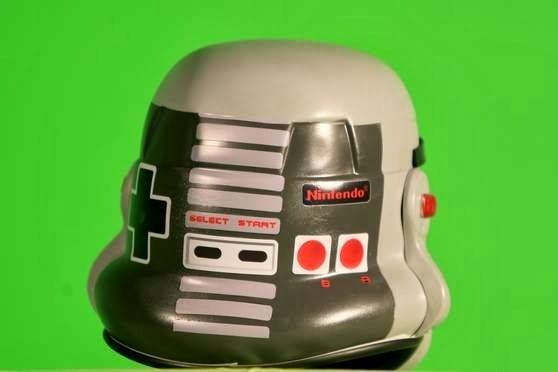 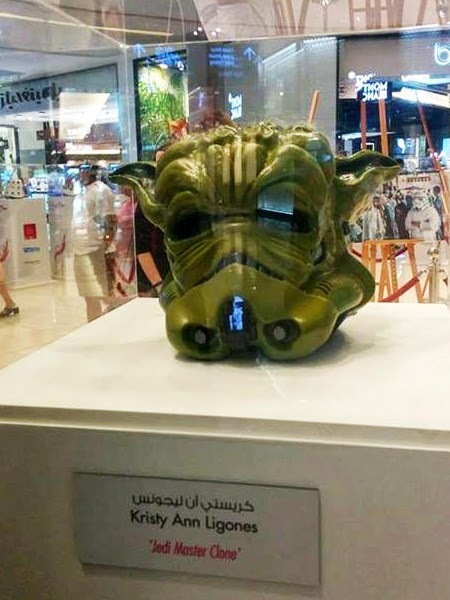 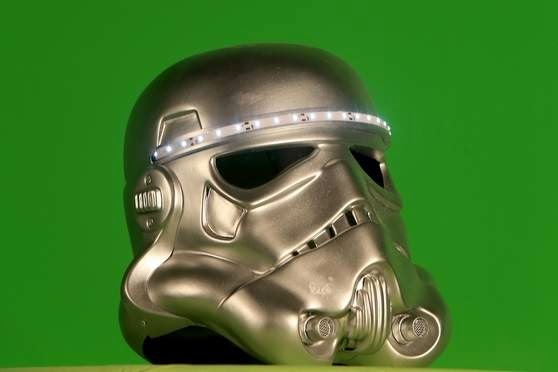 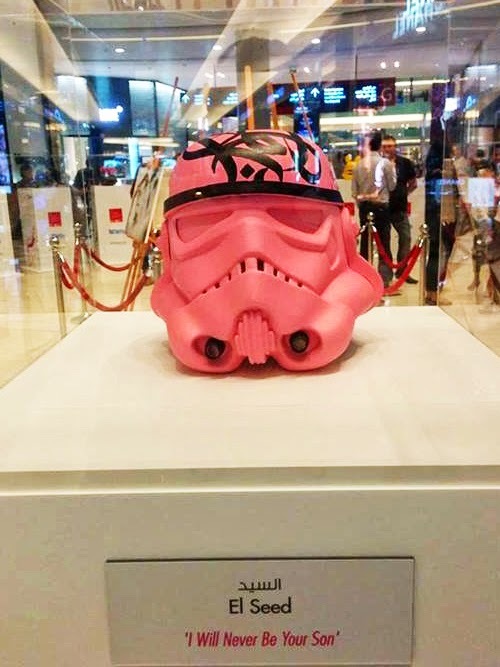 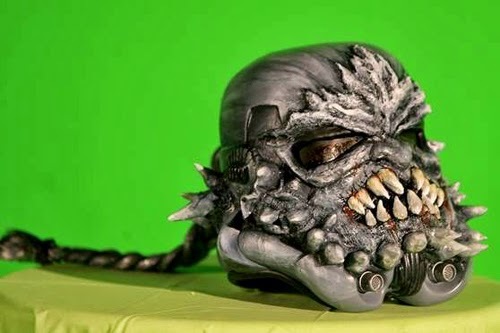 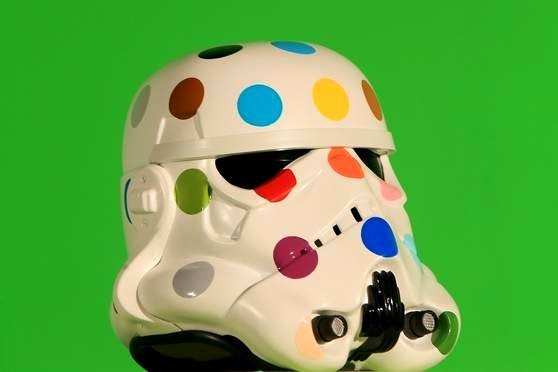 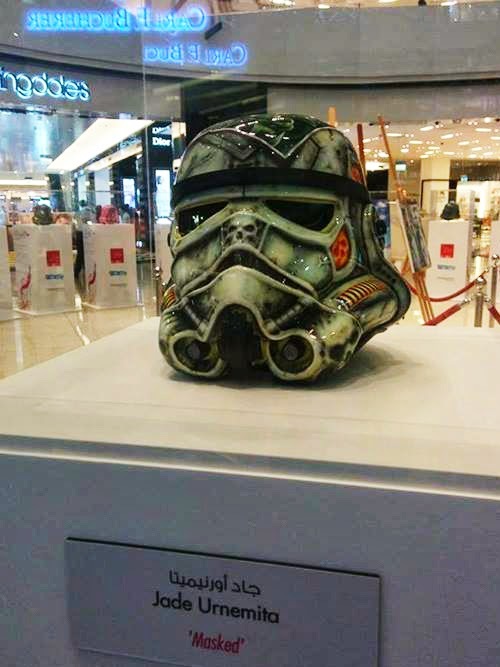 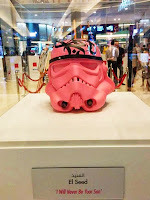 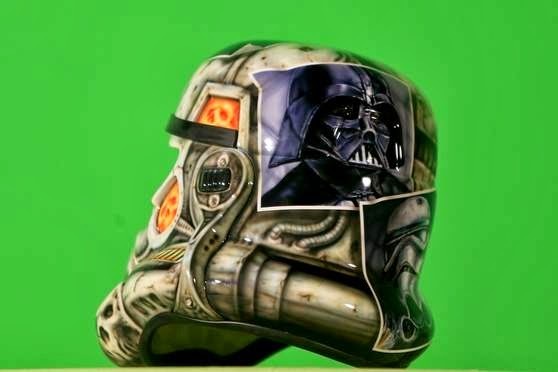 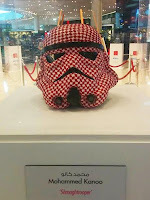 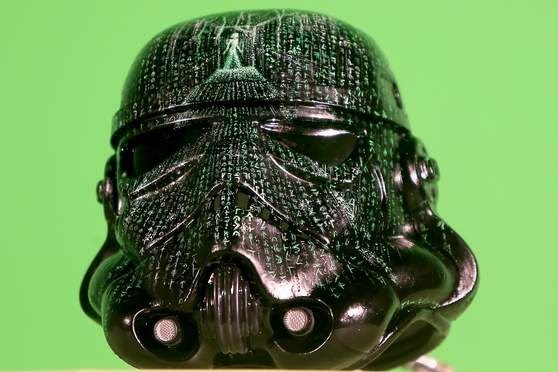 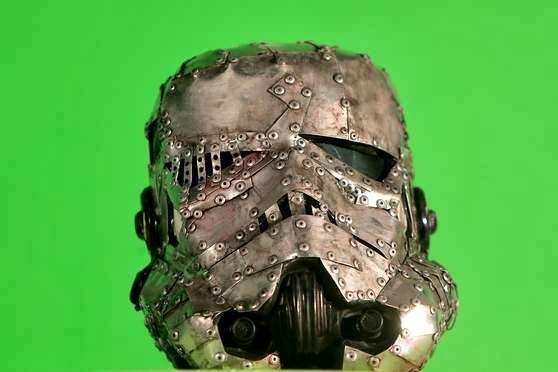 Images of 1:1 sized custom Storm Trooper helmets have surfaced online, with snaps from Vin Miranda of the 20 pieces of artwork from The ART WARS DUBAI exhibition launched at The Dubai Mall (at Bloomingdales Atrium) - including a piece from famed artist Damien Hirst. 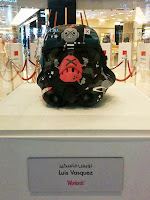 And awesome that they include each individual artists names in the display = Kudos to Vin! 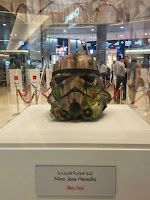 And as well posted below are studio snaps from The National (All photos by Ravindranath K / The National). 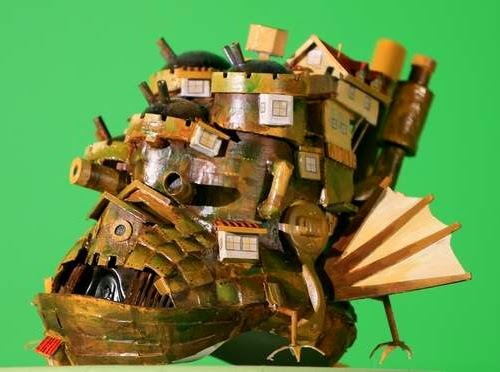 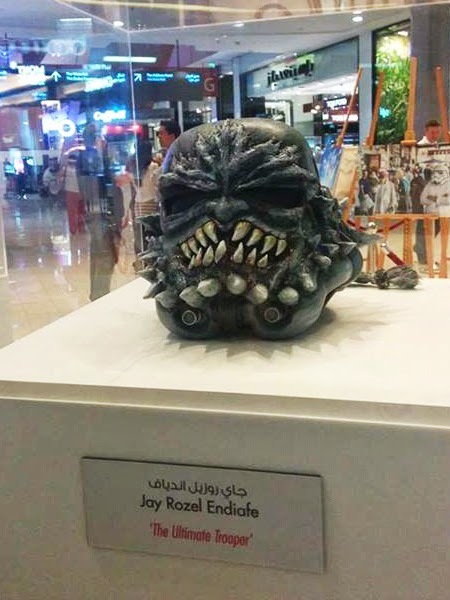 The exhibit will be on show till March 30th, whereby it will subsequently be moved to the Dubai World Trade Center for the Middle East Film & Comic Con, where they will be sold via auction.